2017 is a chess year without a World Championship match or an Olympiad, but it’s set to be packed with events. We have the World Cup, the World and European Team Championships as well as two major competing series. After the FIDE Grand Prix in 2016 was postponed all four events are set to be crammed into 2017, alongside five Grand Chess Tour events. Then, of course, we have all the traditional events, including Tata Steel Chess and the Gibraltar Masters this January. The 79th edition of the traditional curtain raiser to the chess year features the World Champion and his recent Challenger in a 14-man field: Carlsen, So, Karjakin, Aronian, Giri, Nepomniachtchi, Harikrishna, Eljanov, Wojtaszek, Andreikin, Rapport, Wei Yi, Van Wely and Adhiban. The Challengers also has 14 players and includes World Junior Champion Jeffery Xiong. The 15th edition of the Gibraltar tournament features Top 10 players Caruana, MVL and Nakamura in a 250-player 10-round open. The top prize is £23,000, while the £15,000 on offer for the top woman has again attracted Women's World Champion Hou Yifan and a host of other top female players. The traditional event in Moscow has seen 1,500 players take part in eight separate tournaments in recent years, with the top open event attracting dozens of titled players. The 1st stage of the 2017 FIDE Grand Prix series that will determine two players for the 2018 Candidates Tournament. Each of the four tournaments is a 9-round Swiss Open with 18 players drawn from the 24 participants. Each player is required to play three events. 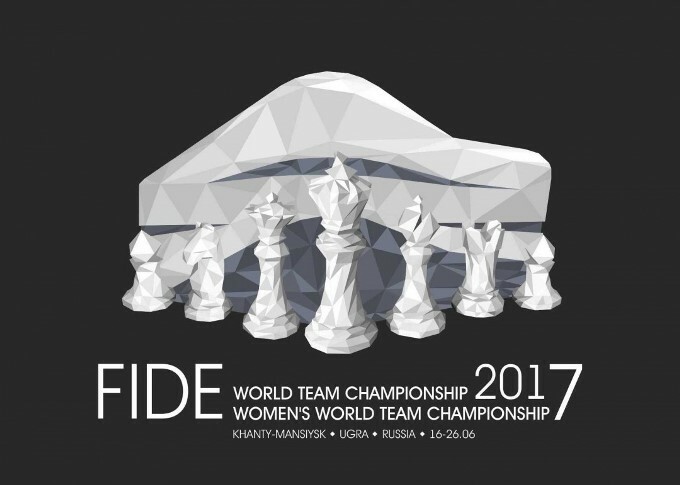 This 64-player knockout will produce a new Women's World Champion, since reigning champ Hou Yifan has chosen not to take part. The Iranian venue has proved controversial, with Nazi Paikidze, Irina Krush and Mariya Muzychuk among the players to drop out citing concerns about security and the local laws requiring women to wear a hijab. This 15th edition of this 9-round open in the Cosmos Hotel in Moscow will again attract a formidable field in its top section reserved for players rated 2500 and above. The total guaranteed prize fund is EUR 140,000, with the winner qualifying for the Dortmund supertournament. 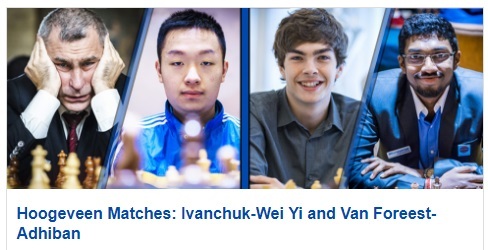 Wei Yi is the star attraction of the 7th edition of the HDBank Masters, a 9-round Swiss open. He'll face competition for the $13,000 top prize from the likes of local hero Le Quang Liem. The 2017 Polish Open and Women's Championships are 10-player round-robins taking place in a new venue. While the women's tournament has the top seven rated women the open event is weakened in particular by the absence of Radek Wojtaszek (playing in Sharjah) and Jan-Krzysztof Duda. 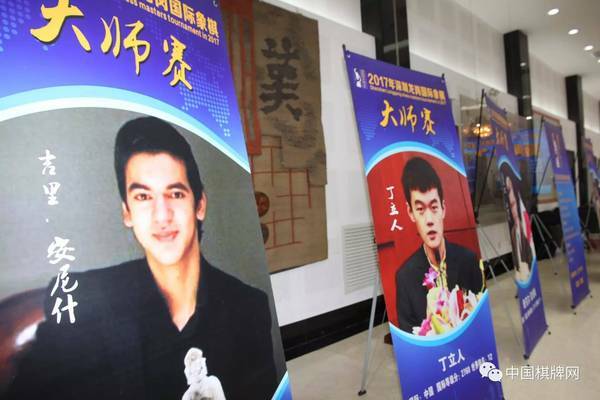 Anish Giri, Mickey Adams, Ding Liren, Harikrishna, Yu Yangyi and Peter Svidler are playing a new 6-player double round-robin in the Longgang District of the Chinese city of Shenzhen, located just north of Hong Kong. The prize fund is $90,000, with the winner taking $20,000. The Arabian Peninsula now has yet another powerful open tournament, with the Sharjah Cultural and Chess Club hosting this 9-round open with five 2700+ players and almost 40 2600+ players. Shakhriyar Mamedyarov and Radek Wojtaszek are the favourites to win the $15,000 top prize in the Masters tournament (for players rated 2100 and above). 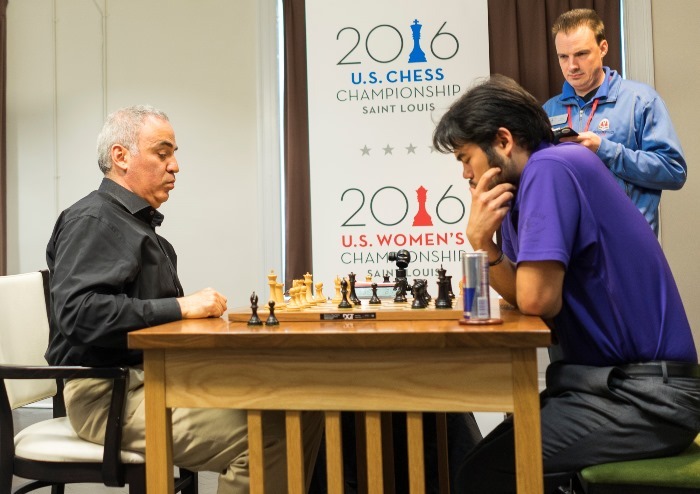 The Chess Club and Scholastic Center of Saint Louis will once again be hosting the national championships for men and women, with Fabiano Caruana and Nazi Paikidze looking to defend their titles in the 12-player round-robins. It won't be easy, with Wesley So and Hikaru Nakamura again both playing and fighting for the $50,000 top prize. The women's US Champion gets $25,000, with a combined prize fund of $294,000, plus $64,000 if anyone can manage the Fischeresque score of 11/11. Yasser Seirawan, Jennifer Shahade and Maurice Ashley are reunited in the live broadcast studio. The 2017 Dubai Open is a 9-round Swiss open taking place in the Dubai Chess and Culture club. The prize fund is $50,000, with a top prize of $13,000. This 9-round open, this year being held in a Thai beach resort, features former champions Nigel Short and, of course, chess24's Jan Gustafsson. The 2017 Zurich Chess Challenge is being held in memory of Viktor Korchnoi. The main event features Kramnik, Anand, Nakamura, Nepomniachtchi, Svidler, Gelfand, Oparin and Pelletier playing seven rounds of neo-classical chess (45 min + 30 sec) followed by 7 rounds of rapid chess (10 + 5). The traditional Zurich Chess Challenge is this year accompanied by a 7-round Swiss open, with Alexei Shirov currently topping the line-up of the Masters section. This huge 9-round Swiss open tournament over the Easter weekend boasts a €10,000 first prize in the top A Open. Etienne Bacrot, Maxim Matlakov, Richard Rapport and Aeroflot winner Vladimir Fedoseev are among the star players in action, with the GRENKE Chess Classic players in the same venue for their first three rounds. An 11-round open tournament in which the top European women compete not only for a first prize of EUR 75,000 but for 14 spots in the next Women's World Championship tournament. The biennial GRENKE Chess Classic is an 8-player single round-robin featuring World Champion and defending title holder Magnus Carlsen alongside Fabiano Caruana, Maxime Vachier-Lagrave, Levon Aronian, Arkadij Naiditsch, Hou Yifan, Matthias Bluebaum and Georg Meier. The 2017 Chinese League is a 12-team event in which teams play each other twice over the course of a 22-round season. On each match day teams pick five players, two of them female, with a number of overseas stars likely to take part. The 18th edition of the Anatoly Karpov Tournament in the oil-rich Siberian town of Poikovsky is a 10-player round-robin. It featuring many players who've competed in multiple editions such as Emil Sutovsky and Viktor Bologan as well as newcomers Daniil Dubov, David Anton and Sergey Zhigalko. This major 10-round open is celebrating its 32nd edition, with players such as Anish Giri, Dmitry Andreikin, Baadur Jobava, Alexey Shirov and Gata Kamsky already confirmed. 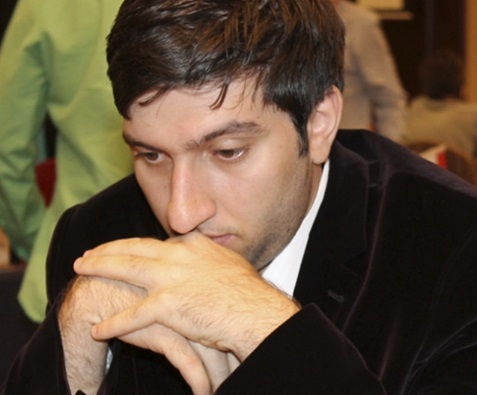 The Gashimov Memorial returns for a 4th edition, with the 10-player single round-robin set to feature Wesley So, Vladimir Kramnik, Sergey Karjakin, Shakhriyar Mamedyarov, Teimour Radjabov, Mickey Adams, Harikrishna, Pavel Eljanov, Radek Wojtaszek and Veselin Topalov. The Chinese Open and Women's Championships are both 12-player round-robins, with Wei Yi the top seed in the Open section. The 2016-17 German League (Schachbundesliga) is an immensely strong 16-team round-robin. In each round, held over seven weekends, eight players represent each team. The final weekend sees all the teams converging in Berlin for the last three rounds, which include a likely title clash between favourites Baden-Baden (Caruana, MVL, Aronian, Anand, Svidler...) and title-holders Solingen (Giri, Harikrishna, Rapport, Ragger, Van Kampen...). One of the world's strongest team events sees Russian teams compete for local honours and a place in the European Club Cup. This 6-player single round-robin is taking place in the Hipp Theatre in Malmo with new joint sponsor TePe. The line-up is attacking, featuring Pavel Eljanov, Baadur Jobava, Nigel Short, Nils Grandelius, Erik Blomqvist and Harika Dronavalli. The 2nd stage of the 2017 FIDE Grand Prix series that will determine two players for the 2018 Candidates Tournaments. Each of the four tournaments is a 9-round Swiss Open with 18 players drawn from the 24 participants. Each player is required to play three events. The significance of this event has grown in importance given the rise of China and especially India as chess superpowers. Another strong team event, with 12 teams and many international stars battling it out over 11 rounds to become the 2017 French Team Champions. A 10-player all-Chinese women's round-robin taking place in the Xishan District of Wuxi. Women's World Champion Tan Zhongyi is the top seed. The 52nd edition of the tournament in memory of Cuban World Champion Jose Capablanca is a 6-player double round-robin featuring 7-time Champion Vassily Ivanchuk. The Cuban nos 1 and 2, Leinier Dominguez and Lazaro Bruzon, are surpisingly missing. The elite tournament will be accompanied by a 10-round open. The European Individual Championship will again be a battle both for the prestige of becoming European Champion and for one of 22 places up for grabs in the World Cup. The 5th edition of the Norwegian supertournament is again a 10-player round-robin and, at the moment of writing, those ten players are the ten highest rated in the world... Beat that! Both the Open and Women's World Team Championship are being held in the same venue in 2017, though the prestigious biennial team event will face tough competition from the other events it clashes with. The 10-team round-robin features the best international teams and has often been considered tougher than the Olympiad due to the absence of weaker teams. 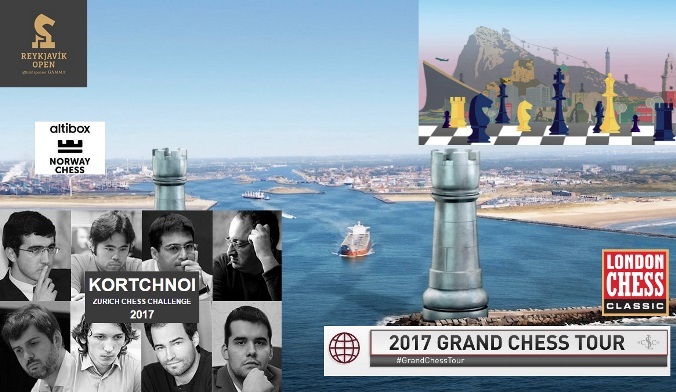 The 1st stage of the 2017 Grand Chess Tour features three days of rapid and two days of blitz chess as some of the world's best players compete for a $150,000 prize fund and Grand Chess Tour points. 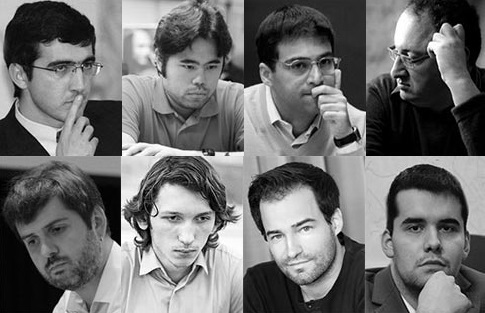 This event features six of the nine tour regulars - Carlsen, MVL, So, Nakamura, Caruana and Karjakin, who are joined by four wild cards - Grischuk, Mamedyarov, Topalov and Bacrot. 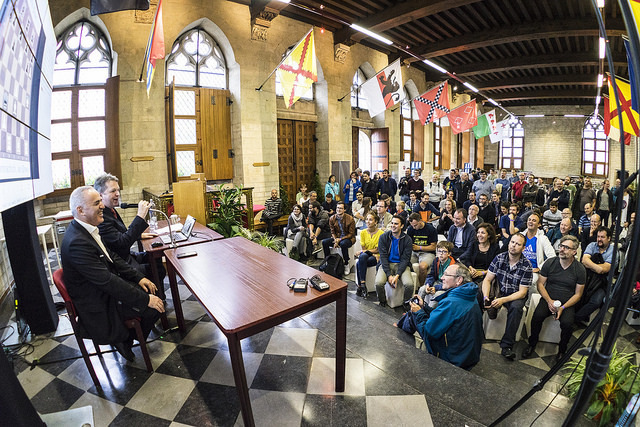 The second stage of the Grand Chess Tour in Leuven Town Hall once again follows hot on the heels of the event in Paris and has exactly the same format and $150,000 prize fund. This event features six of the nine tour regulars - Carlsen, MVL, So, Anand, Nepomniachtchi and Aronian, who are joined by four wild cards - Kramnik, Giri, Ivanchuk and Jobava. This fiercely competitive open is a qualifying tournament for the Russian Championship Superfinal. The 3rd stage of the 2017 FIDE Grand Prix series that will determine two players for the 2018 Candidates Tournaments. Each of the four tournaments is a 9-round Swiss Open with 18 players drawn from the 24 participants. Each player is required to play three events. The 8th edition of the grandmaster tournament in Danzhou on the Chinese island of Hainan will again be a 10-player round-robin, featuring Ding Liren, Yu Yangyi, Wei Yi, Wang Hao and Lu Shanglei from China, and Le Quang Liem, Malakhov, Ponomariov, Ivanchuk and Naiditsch from abroad. This year's Dortmund super tournament, the 45th edition, will be dedicated to 10-time winner Vladimir Kramnik, who is celebrating 25 years since he first played the event. He faces competition from MVL, Wojtaszek, Andreikin, Wang Yue, Fedoseev, Nisipeanu and Bluebaum. 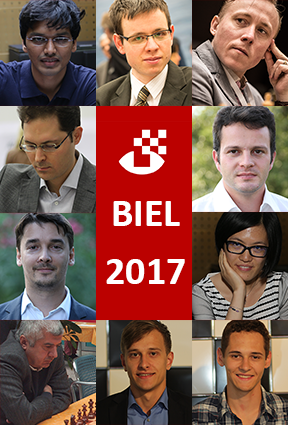 After last year's experiment with matches the top event in the Biel Chess Festival this year will be a 10-player round-robin with a strong and interesting line-up not featuring most of the super-GMs who usually get invited to such closed events. In 2017 the British Championship is being held in Llandudno, Wales and is a shorter 9-round event. The 5th edition of the Sinquefield Cup is again a classical 10-player single round-robin taking place in the Chess Club and Scholastic Center of Saint Louis. It serves as the third stage of the 2017 Grand Chess Tour and boasts a $300,000 prize fund as well as the tour points on offer. Peter Svidler is the wildcard who joins the tour regulars Carlsen, Aronian, MVL, So, Nakamura, Caruana, Nepomniachtchi, Karjakin and Anand. This new event on the 2017 Grand Chess Tour will follow on from the 2017 Sinquefield Cup in the same venue and feature the same rapid and blitz format and $150,000 prize fund as the events in Paris and Leuven earlier in the year. Again there are four wildcards... and one of them is none other than Garry Kasparov! Many people's choice as the greatest player who ever lived will compete against Nakamura, Caruana, Aronian, Karjakin, Anand, Nepomniachtchi and fellow wildcards Navara, Le Quang Liem and Dominguez. The Abu Dhabi Masters is a 9-player Swiss open taking place in the Abu Dhabi Chess and Culture Club. The top prize is $13,000. Matthieu Cornette and Sophie Milliet are the reigning French Champions and defend their titles in 10-player round-robins. This event features the World Youth Championships for the Under 8, U10 and U12 age groups for both boys and girls. The biennial World Cup is a 128-player knockout consisting of six rounds of two-game knockout matches (with rapid and blitz playoffs where required) followed by a four-game final - which will be held in Tbilisi. The winner earns $120,000, while both finalists qualify for the 2018 Candidates Tournament. 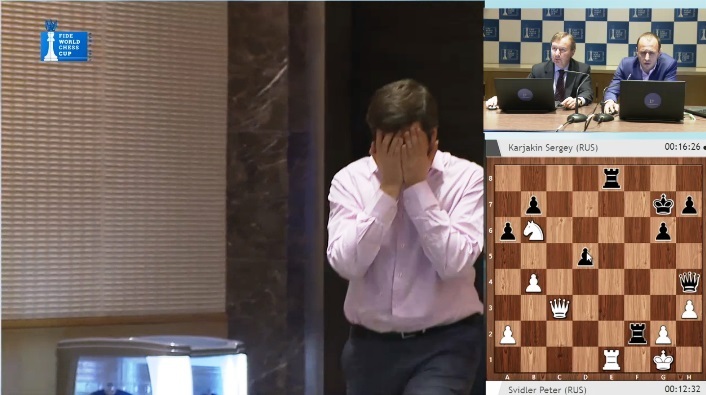 We can safely say the final is unlikely to live up to Svidler-Karjakin in the 2015 World Cup in Baku! The Under 14, Under 16 and Under 18 World Youth Championships for both boys and girls are 11-round events taking place in the Uruguayan capital of Montevideo. A major 9-round open which in 2017 features stars Magnus Carlsen, Vladimir Kramnik, Fabiano Caruana, Vishy Anand and Hikaru Nakamura competing for a £50,000 first prize. The Olympic city of Sochi is once again hosting the fiercely competitive Russian speed chess events. The big annual European club event is again a 7-round open where teams compete over six boards. Alkaloid (Ding Liren, Andreikin, Eljanov and co.) will be looking to defend their title. The 2017-8 "Schachbundesliga" kicks off with the perennial favourites Baden-Baden (Caruana, Aronian, MVL, Anand, Svidler, Wojtaszek, Anand, Vallejo...) meeting 2nd seeds Schwäbisch Hall (Inarkiev, Li Chao, Matlakov, Jakovenko...) in Baden-Baden. One of the world's top chess leagues, the German league is a 16-team single round-robin taking place across different venues in Germany over six weekends before all teams converge on Berlin for the final 3 rounds. The European Women's Rapid Championship is an 11-round Swiss open taking place on 21-22 October with 15 minutes per player and a 10-second increment per move. The Blitz Championship takes place on 23 October, at a 3+2 time control. The top games will be broadcast, with live video commentary. Vassily Ivanchuk takes on Chinese wunderkind Wei Yi in a 6-game classical match taking place as part of the 21st Hoogeveen Chess tournament. That will be played alongside a Jordan van Foreest vs. Adhiban match as well as the Hoogeveen Open. The biennial team event for European chess federations saw a golden double for the Russian men's and women's teams when the event was last held in Reykjavik in 2015. The 2017 World Senior events for men and women in 50+ and 65+ categories is taking place in the same Italian spa town in which it was held in 2015. 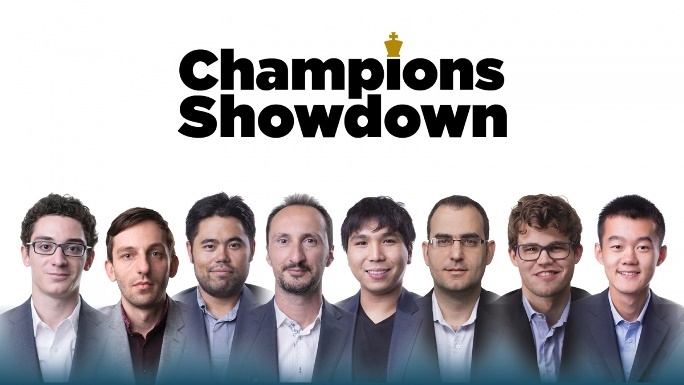 The 2017 Champions Showdown features four rapid and blitz matches, each for a $100,000 prize fund, with $60,000 going to the winner and $40,000 to the loser. World Champion Magnus Carlsen takes on Ding Liren, while the other three matches feature the top US players: Nakamura vs. Topalov, Caruana vs. Grischuk and So vs. Dominguez. The time control is unusual for modern times in that it includes no increment or delay and will ensure time trouble mayhem. For the first four games in each match the players have 30 minutes each, then there are 6 games with 20 minutes, 8 games with 10 minutes and finally 12 with 5 minutes. The most prestigious junior event of 2017 is the Open World Junior Championship and the Girls event that accompanies it, open to players ages 20 and below. The 4rd and final stage of the 2017 FIDE Grand Prix series that will determine two players for the 2018 Candidates Tournaments. Each of the four tournaments is a 9-round Swiss Open with 18 players drawn from the 24 participants. Each player is required to play three events. The final leg of the 2017 Grand Chess Tour, with the same 10-player classical round-robin and $300,000 prize fund as the Sinquefield Cup. The tour regulars Carlsen, Aronian, MVL, So, Nakamura, Caruana, Nepomniachtchi, Karjakin and Anand will be joined by wild card Mickey Adams, while the $150,000 overall Grand Chess Tour prizes will also be decided. The 2017 Russian Open and Women's Champions will be decided in 12-player round-robins taking place in the State Museum of the Political History of Russia in St. Petersburg. Peter Svidler, Vladimir Fedsoeev and Maxim Matlakov are among the top seeds. As well as monetary prizes the winners in each section are awarded and get to keep a Renault Kaptur car. Four days of rapid and blitz chess in which the 2017 European Rapid and Blitz Champions will be decided in two big open tournaments. This year's World Rapid and Blitz Championship will take place in Saudi Arabia with a total prize fund of $2 million. The late decision has already proven controversial, though, since players from some countries such as Israel and Iran will be unable to attend.